Move In Ready!!!! 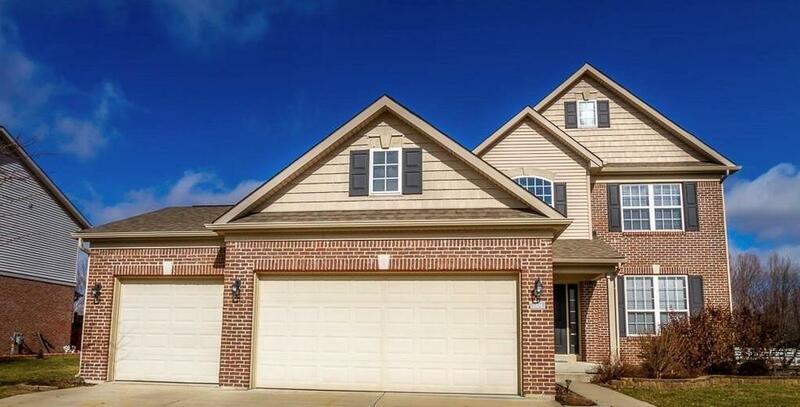 Fabulous 4 bed, 2 and 1 half baths. Functional floor plan that flows throughout the first floor with high ceilings and lots of natural light. The kitchen features, center island with seating available, stainless steel appliances, and easy access to the deck! Comfortable living room complete with fireplace. Formal dining and living/office space. All bedrooms upstairs. Spacious master suite with garden tub, separate shower, dual vanities, and walk-in closet. Laundry is conveniently located upstairs. Directions:US 40 west of downtown Plainfield to Saratoga Parkway turn north and follow to entrance of Yorktown at Saratoga turn left (west) to "T" left at "T" and follow to home on the left.